At drupa 2016, X-Rite and its sister company Esko will highlight digital color communication, measurement and workflow tools that enable printers to leverage the benefits of fixed palette printing. Extended gamut printing opens up new color palette possibilities for brand owners and converters without the added expense of spot color printing. At drupa 2016, X-Rite Incorporated, a global leader in color science and technology, and its sister company Esko will showcase a range of color and workflow solutions to help printers and converters successfully transition to extended color gamut or fixed palette printing. Package printers moving to extended gamut printing are able to match a wider range of brand colors than possible with four-color process by using a more efficient seven-color printing process. Combining X-Rite Pantone and Esko solutions with extended gamut printing allows printers to reduce job setup times and change over costs, support shorter job runs and improve turn-around times. At drupa 2016, May 31 through June 10 at the Düsseldorf Fairgrounds in Hall 8B A23, X Rite Pantone will showcase the latest digital color communications and management solutions that support a converters transition to extended gamut printing. Featured products include PANTONE® PLUS SERIES EXTENDED GAMUT Coated Guide, PantoneLIVE™, ColorCert®: X-Rite Edition and X-Rite measurement devices including X Rite eXact and IntelliTrax2. Esko will feature Equinox, an ecosystem of tools to help converters implement an extended gamut workflow. With the PANTONE Extended Gamut Guide brands, designers, and print suppliers can quickly visualize how Pantone reference colors will appear when reproduced using a fixed palette of CMYKOGV ink colors; even before moving ahead with a packaging project. For the first time brands and designers can easily evaluate fixed palette approaches and better communicate color intent to suppliers. Depending on the substrate, extended gamut will open up approximately 80 to 90 percent of Pantone colors, making many popular brand and corporate colors achievable using a fixed ink set. This allows designers to create more complex color blending and cleaner transitions of color in packaging design. When it comes to specifying color, the PantoneLIVE cloud-based approach makes the sharing of digital color standards easy and secure across the entire packaging supply chain from brand owners, designers, premedia, ink suppliers and printers. This ensures that everyone in the production workflow is working with the same achievable standards to drive color consistency across different printing processes and substrates. The PantoneLIVE spot colors are useful when extended gamut printing is employed. By using a common PantoneLIVE spot color reference between fixed-palette and spot color reproductions of packaging or labels, brands can achieve their desire for on-shelf consistency. PantoneLIVE has a wide ecosystem of supporting solutions, from design and editing of packaging graphics files, to color separation, proofing, ink formulation, quality control and scoring. The foundation of a successful extended gamut print process includes the ability to control color across the entire production process and across multiple locations. 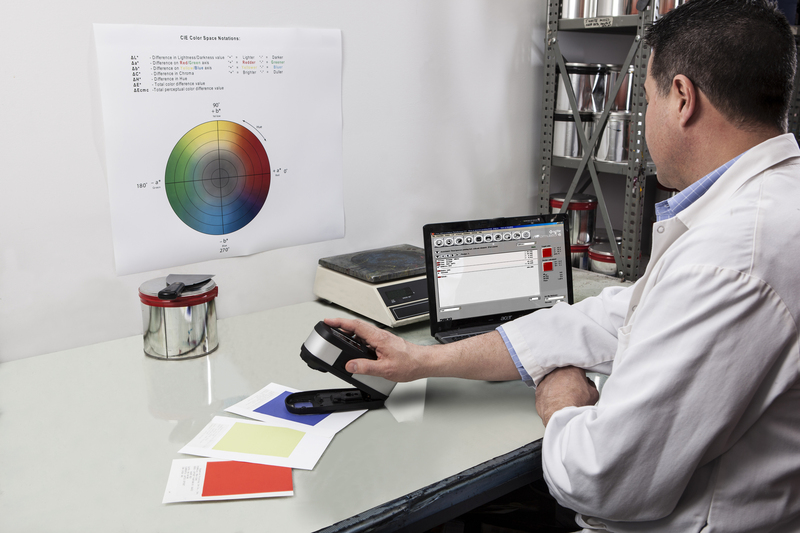 ColorCert: X-Rite Edition provides real-time monitoring of color performance to ensure stable production and consistency of extended gamut colors. 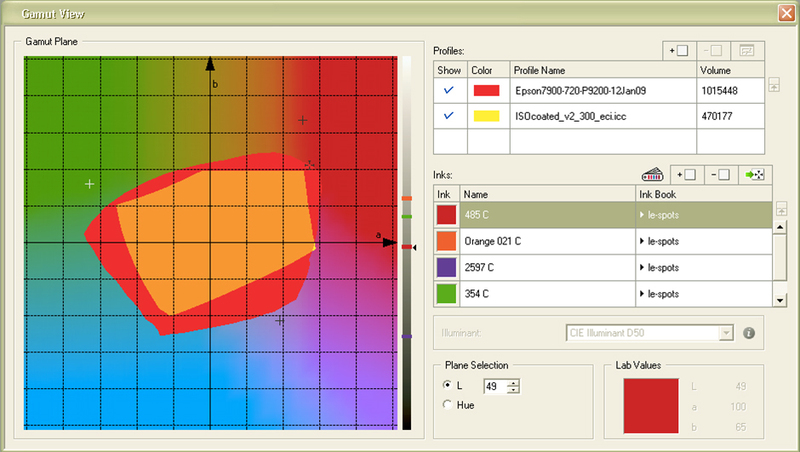 With ColorCert, users can create color specifications and monitor production. A scorecard applies a score to each job, site or client based on specified color tolerances. The ColorCert approach to extended gamut is simple. The solution yields a score that reflects the overall quality level of an extended gamut run. This provides a fast and easy way to verify the process is in control. In addition, ColorCert provides the ability to drill down on any specific metric to support troubleshooting when overall quality levels indicate adjustments are needed. When ColorCert and PantoneLIVE solutions are used in conjunction with X-Rite’s measurement solutions, converters are equipped to start transitioning to extended gamut printing in the pressroom. X-Rite’s family of spectrophotometers, including the new X Rite eXact™ Xp and the new fully automated X-Rite IntelliTrax2, offer accurate and repeatable color measurements for extended gamut printing on a variety of substrates including flexible film. Esko offers Equinox™ to complete the solution for extended gamut printing. At all steps in the workflow, the Equinox ecosystem provides tools to implement extended gamut in a simple effective way. From fingerprinting the press, to conversion of packaging artwork, to gamut expansion of images, Equinox provides the right tools for the job. Artwork conversion can take place inside Esko’s high end packaging editors, or inside the Automation Engine workflow. Building these tools inside the prime platform used for packaging prepress makes adoption of the solution straightforward. An integrated contract proofing product, Pack Proof, provides accurate proofs of extended gamut jobs, giving converters confidence in the result before going on press. 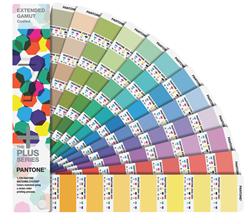 For more information read our blog post titled, “How the PANTONE® EXTENDED GAMUT Guide helps Printers” at http://blog.xrite.com/pantone-extended-gamut-guide-helps-printers. PantoneLIVE is a cloud-based solution that enables the universal PANTONE Color language to be accurately communicated across the entire packaging workflow – from design concept to retail store shelves. PantoneLIVE extends the PANTONE PLUS SERIES Color Library, mapping critical color information to packaging-specific substrates. The PantoneLIVE ecosystem is supported by licensed hardware and software that enables each area of a packaging supply chain to access the same PantoneLIVE Colors, in addition to brand specific palettes. This results in consistent and repeatable color across product families, regardless of media or print technology, providing a cohesive brand approach. For more information, please see http://www.pantone.com/live. Enfocus, with its suite of automation solutions and PDF quality control tools for printers, publishers, and graphic designers, is an Esko subidiary. MediaBeacon, with its digital asset management (DAM) solutions is also part of the Esko family. Esko is headquartered in Gent, Belgium, and has R&D and manufacturing facilities in five European countries, the United States, China and India. Esko is a Danaher company (http://www.danaher.com). For more information, visit http://www.esko.com. All press releases, as well as corresponding product pictures, are available at the press section at http://www.esko.com.